Lincoln Hirst BDS (Lond) LDS RCS (Eng) qualified from Kings College Medical School in 1988. 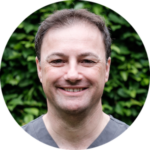 He has been working at Garden City Dental (formerly known as Beehive Dental Practice) in Welwyn Garden City since 1989, becoming a partner in 1994. Lincoln has a special interest in treating apprehensive patients and has spent the last 30 years refining his abilities in this field. This has included post-graduate training in conscious sedation, hypnosis and psychology. He has developed a reputation for helping people that were so nervous about visiting the dentist that they had previously given up hope of ever being able to accept dental treatment. Lincoln has also had extensive training in dental implants at the prestigious Tatum Institute. His new website can be found at gardencitydental.co.uk.